For too many years Hostage Rescue Tactics have been used to serve High Risk Search Warrants. While generally successful, it has exposed SWAT Officers to additional, unnecessary, risk. 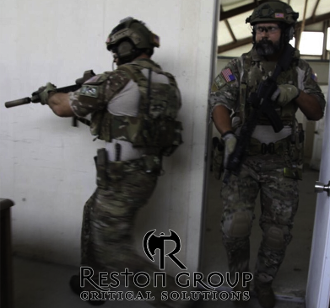 This 24 hour course will expose SWAT Officers to a proven, more measured approach that balances the mission to secure the location with the nationally recognized Priority of Life standards, and the principles of CQB. Topics will include; planning, individual tactics, team movement, and proper discrimination. Over the span of three days, this cover the necessary skills, practical exercises, and Force on Force scenarios. Days are typically 9-10 hours in length with a short lunch break. Certificates are given upon successful completion of the third day.